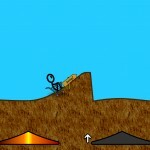 Stick Flight Upgrade Addicting Games Click to find more games like this. Cheat: Keyhack 0 add cash. 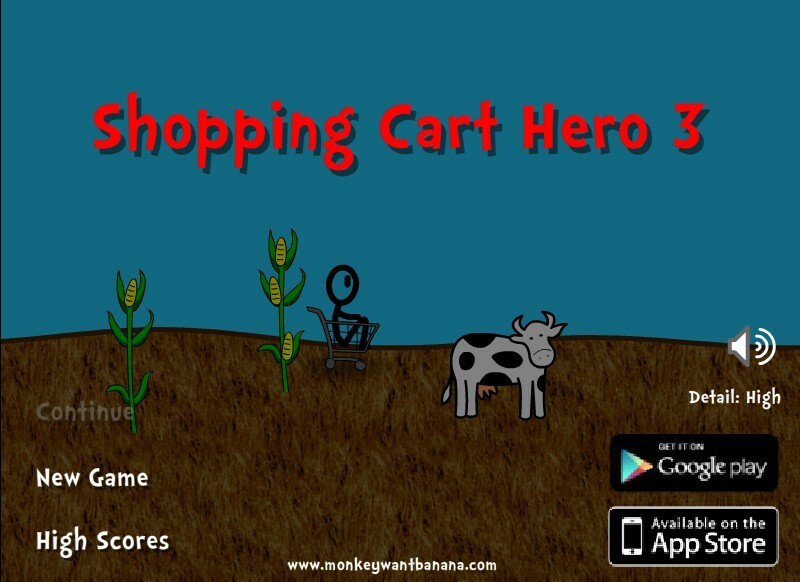 Your goal in this funny new sequel is to run down the hill with your shopping cart and launch the stick dude as far as possible. You are judged on distance, height, style and tricks. 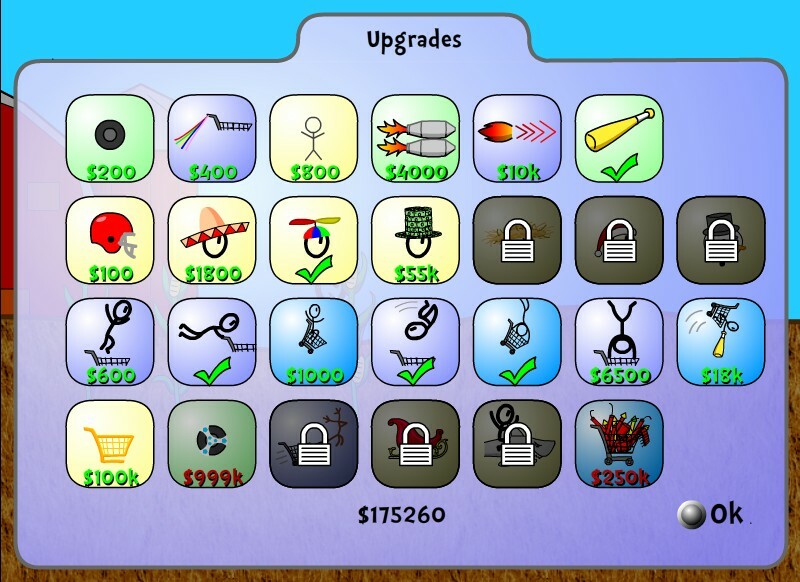 Earn money to get upgrades, hats, tricks rockets and much more! Use YOUR ARROW KEYS to play. 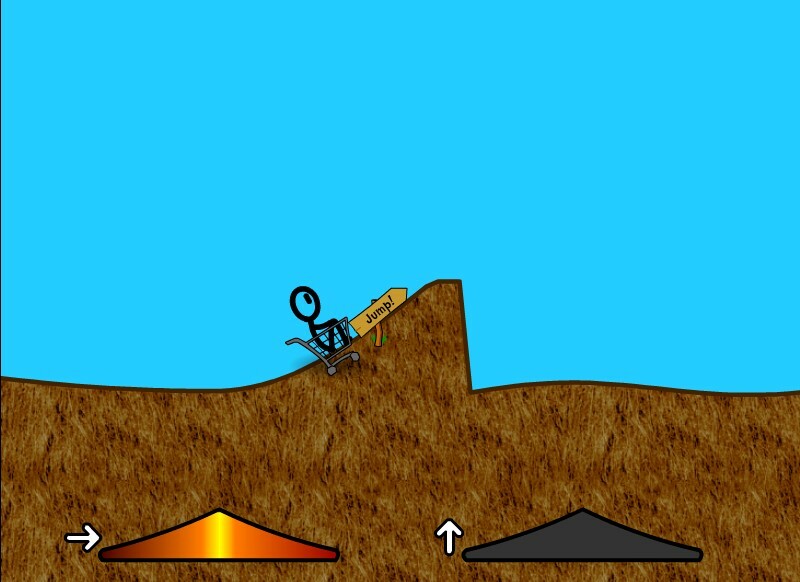 Dont land badly or your stickman will get hurt! Good luck!